Against my better judgement, I am writing a ‘food’ post. This evening we partook of traditional fish’n’chips from the ‘Chippy’, a fairly new fast-food outlet in Doha. When I say traditional, the fish was the local Hammour, although we could have had imported Cod. 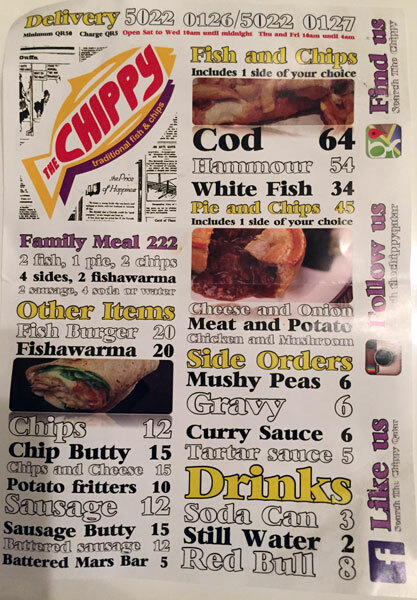 I phoned through our order which was delivered in less than 20 minutes… the Chippie is only a kilometre away up the C Ring Road. It arrived piping hot as they knew where we lived. They used WhatsApp to confirm our location, however I think they found our address easily because a friend who lives four floors below us had ordered the previous night. His dinner arrived slightly cool as I think it was the first order they’d received from our apartment block and it took them a while to find it. 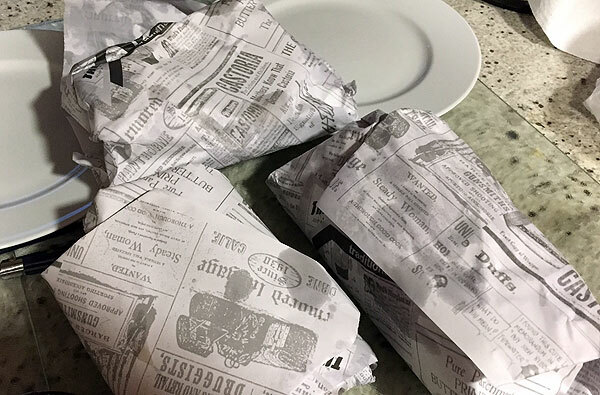 Our supper arrived wrapped in faux-newspaper, sort of like fish’n’chips did back in the UK twenty years ago before food safety legislation prohibited the use of old newspapers as wrapping. The paper was covered in adverts from an early 20th century New York newspaper. 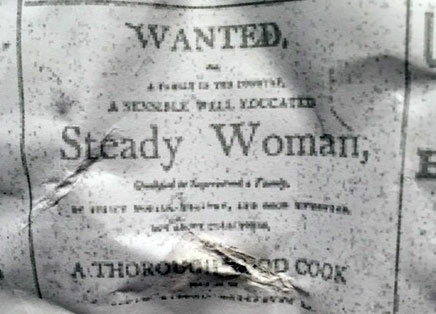 One advert was ‘Wanted: Steady Woman and a thorough good cook’ a sentiment which has stood the test of time. So what about the quality of the food, I hear you ask… the order for two would have easily fed three people. Must try this place. 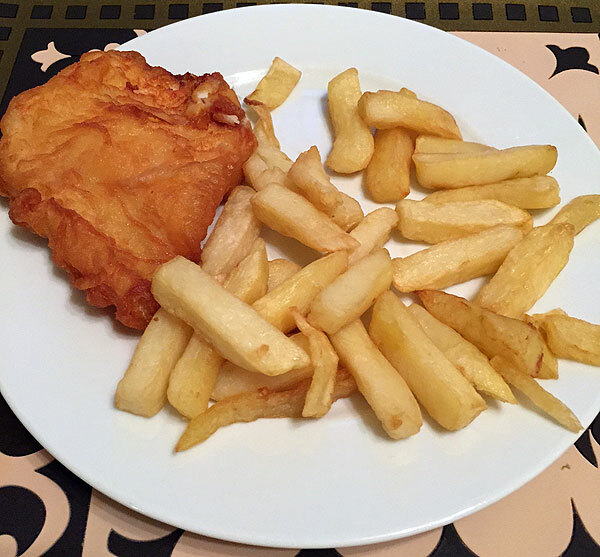 How does it compare to the fish and chips in Katara?